Two boys on the PROBIGUA Library Bus. As summer winds down, I wanted to send out some updates on travels and performances. It was an AMAZING summer both musically and personally. 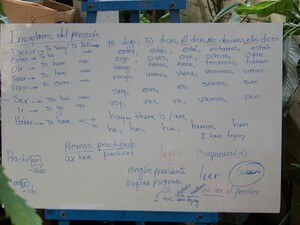 My beloved and I spent 3 weeks in Guatemala, working on our language skills and learning about some of our neighbors to the south. I played at the Summerfolk Festival in Owen Sound, ON; and my trio, Brother Sun, played at several big festivals including: Kerrville, Falcon Ridge, and at the American Roots Festival. All in all, it was a marvelous summer filled with adventure and beautiful experiences, and a lot of learning (more on that later). I will get some Guatemala pictures up on the website for now, but I will also write more at length about Guatemala next month. 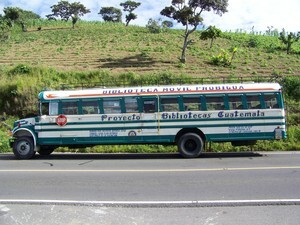 The greatest experience we had in Guatemala was riding for a day on the Biblioteca Movil (Library Bus) that our language school PROBIGUA (Proyecto Bibliotecas Guatemala) runs through the countryside. 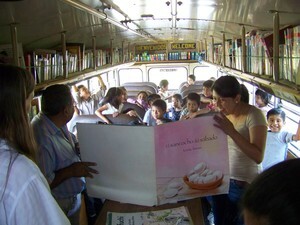 It is a mobile library that serves children and adults in Rural Guatemala. 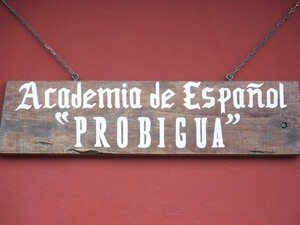 PROBIGUA has two library buses and has set up around 28 libraries around Guatemala. Literacy in Guatemala is low, and there are many good people committed to changing that, and with it, the future of the Guatemalan people. 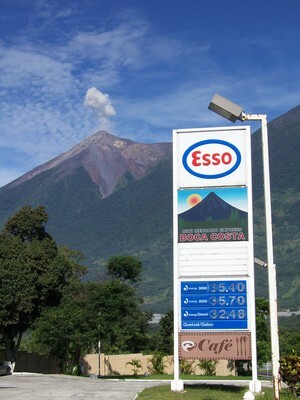 While we were visiting one of the rural towns on the Library Bus, one of the volcanoes (Fuego) was erupting. 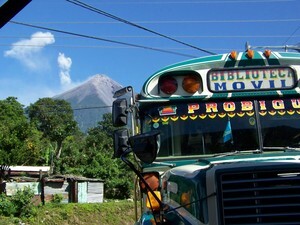 It was astounding to see a busload of children who did not even notice the volcano. They were so excited to have access to books that the volcano seemed sort of irrelevant. They see the volcano every day. The see books once every two weeks. It does offer some perspective as I return to my apartment, and notice that my wife and I both have a rather substantial personal collections of books. And within walking distance, we have access to millions of books between Chicago Public, Evanston Public, and Northwestern University libraries. 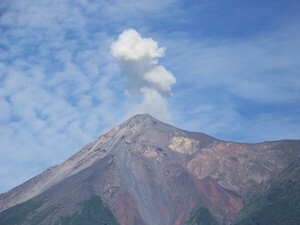 I did however take some pictures of the volcano too. The fall touring schedule is quite full and getting more so every day. Brother Sun is currently on a Midwest tour. We are apart for a few weeks and reconvene in late September in Texas. Then were will be up and down the eastern seaboard in October, November and December. I will have a number of solo appearances as well in the Chicago area, Seattle, Texas, and out east. Last but not least, August 28th marked 6 months tobacco free. I am now smokeless Joe; thanks to the patience and encouragement of MANY people. GRACIAS!!! I look forward to seeing you down the road, and thank you as always for your enthusiastic support of the music. 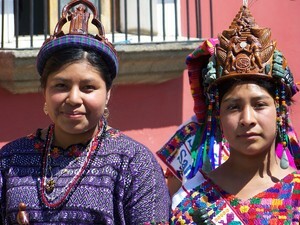 Mayan youth marching in a parade to celebrate the rights and culture of indigenous peoples.